Having never rented a car before during my travels, my first rental car experience was expected to be interesting, yet boring. 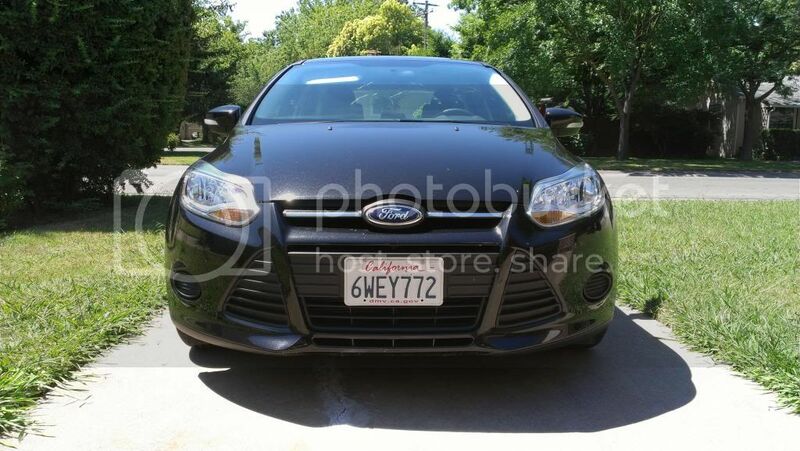 When I had originally made my reservation with Hertz, I was told I would be getting a Ford Focus or "similar." Upon arriving at the Hertz desk at Sacramento International Airport, I was given the choice of either a Ford Focus sedan or a Nissan Versa. 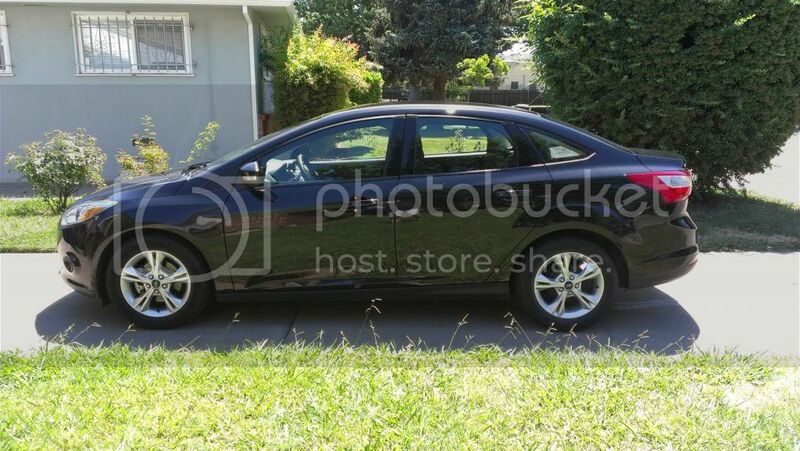 Considering that the Nissan Versa is not even in the same vehicle class as the Ford Focus, I picked the Focus. Come on now, Hertz, I paid you the extra $3.00 to get a larger vehicle, so I expect a vehicle in the correct size class! But alas, this is not a review about Hertz itself. For those of you that haven't already read my review of the 2013 Ford Focus ST, all you need to know is that I was once very skeptical about Ford's products. The Focus ST changed all that with its amazing performance. But despite the fact that the Focus ST is based on the more pedestrian version of the Focus, I was a bit skeptical about the Focus SE. The Focus has, after all, become a rental car staple. Would I be impressed by this seemingly innocuous people mover? The 2013 Ford Focus ST was a fantastic and aggressive looking car, thanks to the aggressive aero bits included with the car. While obviously not as aggressive looking as the Focus ST, the Focus SE still looks fairly handsome. In fact, I actually find the smaller, split grill opening of the SE model more attractive than the large, gaping maw of the ST.
One of the things I toyed around with a bit before actually driving the car was the infotainment system. Just like the ST model, the Focus SE's infotainment system is powered by Microsoft's SYNC system. While my experience with the SYNC was not all that positive during my review of the Focus ST, the two main systems I looked at in my review of the ST were the voice command system and the navigation. The Focus SE I drove here does not have a navigation system, and I more or less ignored the voice command system out of fear it would drive me insane. Ignoring those two factors, the SYNC based system actually performs relatively well. Bluetooth functions synced quickly with my HTC One S. I think the part of the SYNC system I was most impressed with was the Bluetooth audio streaming. I have streamed audio via Bluetooth on my family's 2011 Acura RL, and it tends to perform simple functions such as changing tracks really slow. Surprisingly, the SYNC system in the Focus changed tracks very quickly. Of course, there were some minor quirks with the SYNC system, but those will be touched upon later. After toying around with the infotainment system, I actually went ahead and drove the car. I was not expecting much in terms of how the car drove, but I was pleasantly surprised when I actually took the car out. The Focus SE's 2.0 liter, inline-4 cranks out a fairly hearty 160 horsepower and 146 lbs./ft. of torque. While these numbers are not exactly impressive, the car certainly felt like it accelerated much quicker than it actually did. I was also very surprised with the throaty intake sound the engine makes when pushed hard. Without a doubt, the car's engine was just one of the many parts of this car that surprised me. The Focus SE also displays some very surprising road manners. While the car was definitely comfortable to drive, the way the car handled corners really surprising. Being primarily a person mover, the expected amounts of body roll were present. What surprised me about the Focus' handling was that it was able to take corners relatively quickly without much muss or fuss. Despite some tire squealing from the horrid, fuel economy oriented all-season tires, the Focus' handling was very manageable. I would not exactly call it neutral, as there was evidence of some understeer when pushed a bit hard, but it was far less than I had expected. Obviously, the Focus SE is not as neutral feeling as the Focus ST, but the handling characteristics of the Focus SE were truly surprising. The final good point I wanted to touch upon with the Focus SE was how quick its air conditioning worked. 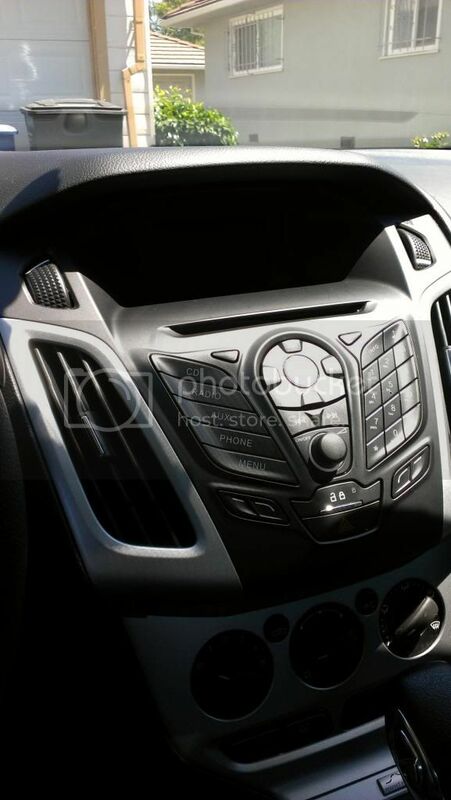 It was a blazing 108 degrees Fahrenheit in Sacramento on the day I took the photos of the car, yet the A/C was able to get the interior of the car to a livable temperature within a little less than two minutes. 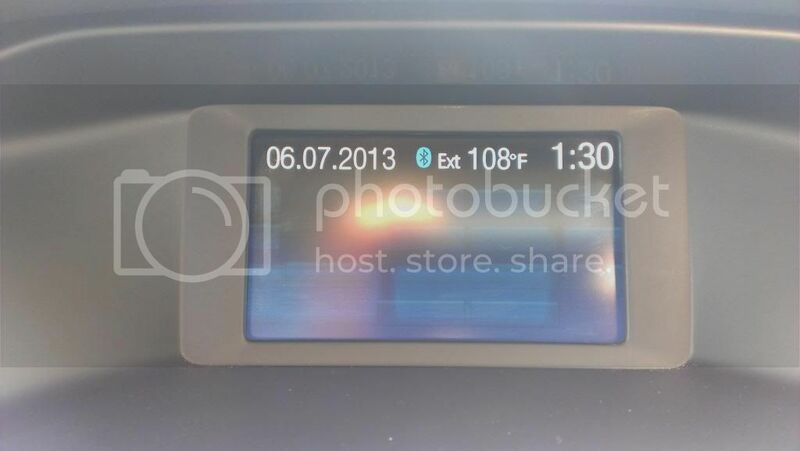 Of course, being a new car, one would expect the A/C to perform admirably, especially during such blazing temperatures. One of my observations of the Focus ST was how poor the quality of the interior was. 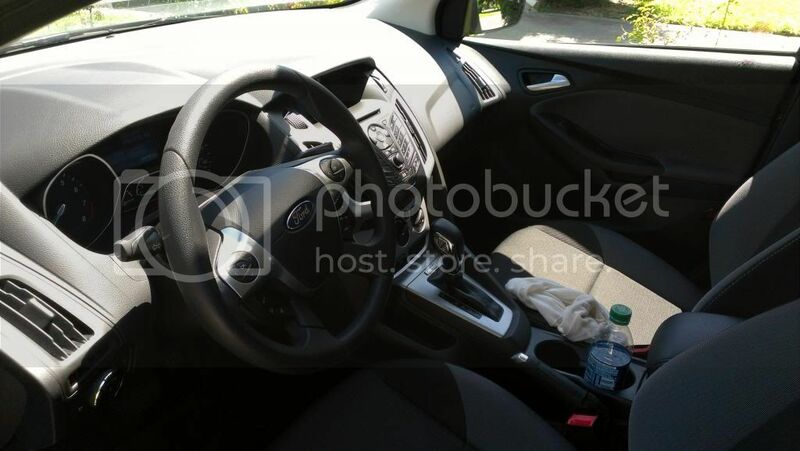 Since the Focus ST is a few steps above the Focus SE, this did not bode well for its interior. As expected, the Focus SE's interior was extremely cheap feeling. Plastics that were at least passable in the Focus ST were replaced by cheap, hard, and hollow pieces. The tiny splashes of chrome, such as on the shift knob, seem very out of place in the car as most of the interior is trimmed in non-reflective pieces. The ST's saving grace, the leather Recaro seats, have been replaced by very boring, but at least comfortable, cloth seats. Another point about the interior that needs to be addressed is its center stack. While the Focus ST's dash clutter is largely missing thanks the the navigation screen eating up a good chunk of real estate, the lack of a navigation screen brings about a center stack littered with buttons. And people complain that Acura's cars have busy, cluttered center stacks. While the engine is surprisingly good, the 6-speed automatic that is paired with the car feels incredibly sluggish. This can probably be attributed to idiotic transmission logic designed for the sole purpose of maximizing fuel economy. Down shifts were incredibly slow and essentially required mashing on the gas pedal, creating a huge period of lag when attempting to accelerate to pass another vehicle. I really did not like the fact that I had to drop the gear level into the lower gear mode just to get the car to accelerate. A sport mode for the transmission and maybe some steering mounted paddle shifters would probably fix this issue. The transmission also exhibits a strange shutter when creeping. Take your foot off the brake pedal and the transmission seems to shutter for about half a second before beginning to creep. This is they type of shuttering you feel in a car equipped with a manual transmission right before the car stalls. Frankly, it is quite unsettling and makes me feel the car wants to stall before moving. As surprisingly good the Focus SE's road manners are for a people mover, you would be hard pressed to be able to tell from the steering wheel. The steering wheel itself is thick, comfortable to use, and well weighted. Unfortunately, the major problem with the steering was that it felt incredibly artificial. I was genuinely excited when I found myself able to toss the car around a bit without it feeling like it was going to kill me, but my excitement quickly disappeared when I realized I could not feel anything from the road coming through the steering wheel. Microsoft's basic SYNC system seems to work a lot better than the more complex one in the Focus ST, but it is not without its faults. While my HTC One S would automatically sync with the car every I started it, I had to manually change the audio input to bluetooth every time. This would not be so bad if getting to the bluetooth audio setting was not such a hassle. In order to stream music from your media device, you must, 1. turn on the radio, 2. switch the radio to "auxiliary" input mode, 3. pull up the media menu, 4. go to the media source input menu, 5. scroll to bluetooth audio. Yes, it takes five steps just to get the car to stream music from your media device. The fact that you have to do it every time you turn the car on makes it a gigantic annoyance. Another quibble I had with the infotainment system was the layout of the multifunction buttons at the bottom of the stack. With the screen up top, and the buttons down at the bottom, it was sometimes a bit difficult to figure out what button corresponded with what function on the screen. I found myself pressing the wrong button a few times, wondering why the system was doing nothing instead of what I had expected. The Focus SE, like its competition the Honda Civic, Toyota Corolla, Chevy Cruze, and other vehicles, are primarily designed as people movers. Fortunately, Ford saw fit to add a little bit of driving excitement to the Focus. 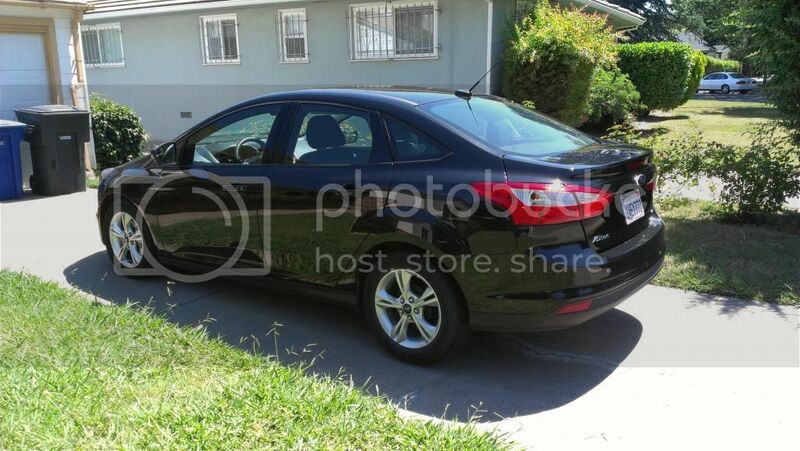 Ford genuinely surprised me with how well the Focus SE performed. I had originally stepped into this car, expecting it to be a lifeless, boring hunk of metal. But, as I discovered during my time with it, Ford has definitely been stepping up its game in the last few years, and this more pedestrian model of the Focus shows Ford's willingness to improve and compete with its German and Japanese competitors. Would I actually buy one? No, and it is not because I would prefer to buy the Focus ST. The Focus SE is a great car for what it is, but there are just too many small annoyances that would make the car undrivable for more than a few days. Since I was only renting the car for three days, the small things like the lousy transmission logic and the SYNC system were manageable. I suppose the moral of this story is to rent it first. If some of the minor issues I had with the car are livable to you, then perhaps the Focus SE might be something to consider owning.